We recognize that there are countless benefits we can gain from integrating influencers in our marketing programs. More authority, stronger relationships, better storytelling, increased reach and much more. But there are a few key places many see the biggest impact from adding influencers. Recent research from TapInfluence and Altimeter found that it’s not the size of your audience, but the way the audience can be moved that most returns the greatest benefit from influencer marketing. The study, called The Influencer Marketing Manifesto, highlighted 6 areas that those surveyed see the greatest impact from influencer programs. Let’s take a look at why these six areas are seen as having the greatest importance to influencer marketing programs. Authenticity is an element many brands have been searching for lately. While they’ve been able to create large audiences, they’ve struggled to truly connect with them in a meaningful way. 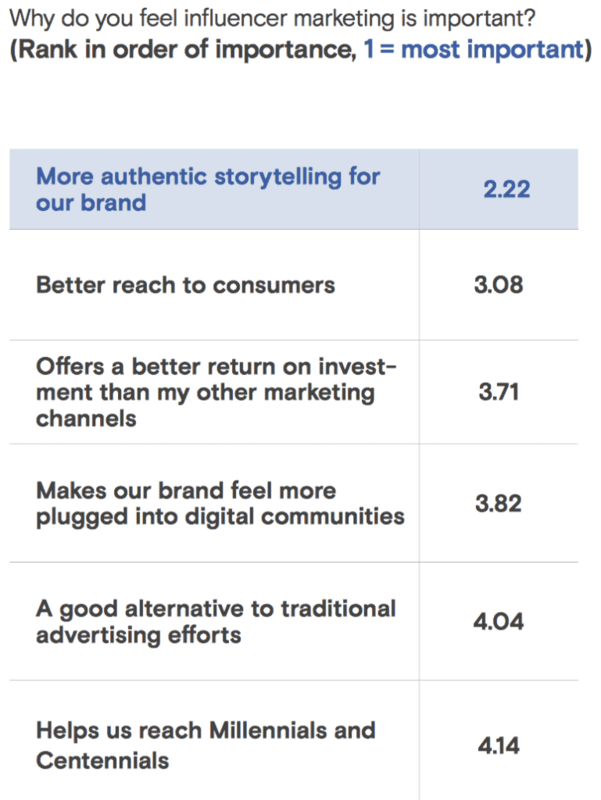 More authentic storytelling has become the key many see to creating that stronger connection and it tops the list of the most important aspects of influencer marketing. While influencer marketing can help marketers achieve this desire, many have already begun abusing it as a way to appear more authentic, without caring one bit about anything but making a sale. Influencer marketing may seem like an easy way to get closer to your target market, but consumers will quickly see through the fallacy. Unless brands are really, truly authentic, influencer marketing will do little to boost their connection with potential customers. Reach has been a hot topic ever since Facebook started giving people more of what they want to see, and less of what they don’t. As the reach of many brands fell, marketers have searched for ways to improve that silly little number. Influencer marketing appeared to be a way to slow the fall. The reality is that reach is a useless metric. All the reach in the world does nothing unless you truly connect with your audience. Only when it’s paired with true authenticity, and a message that really resonates, will reach have any impact on improving brand performance through influencer marketing. Reach may help a well designed marketing program, but it will do little to help most see greater gains if they don’t offer something people really want to see. This response is a bit strange. It would appear that some marketers see influencer marketing as a channel, and one that may bring about better returns than others. Influencer marketing isn’t a channel. It’s a tactic that can be added to most any marketing strategy to bring about greater returns, when done correctly. Better ROI may be the end result, but it’s not a channel in itself, and not limited to any single marketing channel. These days it’s all about connection. Every marketer wants to be more connected with their communities and many see influencer marketing as the way to do so. If you don’t feel connected to your communities, influencer marketing isn’t the way to become more so. Using influencers to connect, rather than directly with the brand itself, is a silly strategy for those that said the most important aspect of influencer marketing is greater authenticity. 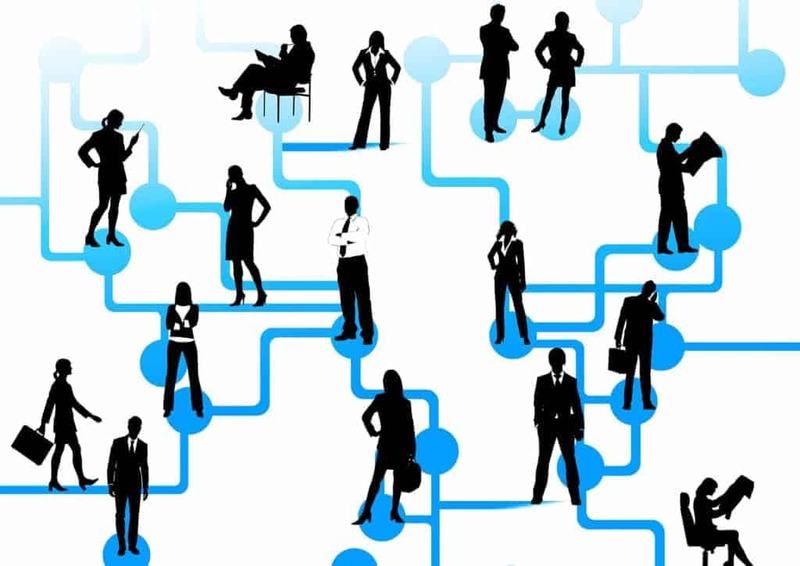 It may not be the easy road of harnessing some influencers who have already connected with their own audiences, but building a real connection to your audiences and communities will result in far stronger connections. Influencer marketing can then be laid atop that great connection to build things further, but should never be used as a substitute to true relationship building. You’d never send an influencer to meet with a new client, so why would you do so with your marketing programs? Build it yourself first. Many see influencer marketing as an alternative to the advertising efforts they’re currently executing. As covered before, it would seem that some believe influencer marketing is an alternative rather than an add-on for marketing efforts. Influencer marketing isn’t simply an alternative, it’s an added bonus that can be applied to any marketing or advertising effort. Done properly, it can bring about greater returns. Just remember your programs must be great before adding influencers, not great because you added influencers. Millennials and centennials are part of the market that many are struggling to reach. Marketers that have failed to connect with those target markets often give up on creating that connection themselves, and instead turn to influencers to make the connection for them. Don’t believe that if you can’t do it, someone else can. Reaching and connecting with millennials, centennials, and any other group is your job first and foremost. If you can’t do it, no one else can. Sure, influencers may currently have a better connection with these groups, but how strong do you believe the bond will be if they’re the ones reaching these audiences on your behalf, rather than you? How lasting would a relationship be if you chose someone else to initiate and own it for you? Influencers may have already reached the audiences we want to connect with, but don’t turn to them if your attempts to build those bonds have failed. It’s time to be more authentic (as the most important aspects of influencer marketing claims) and build a real relationship, not simply one created through influencers. Genuine and direct relationships will always be stronger, longer, and more rewarding than those forged by others. As the study results clearly show, the main objective of influencer marketing programs is connection. Through more authentic storytelling, better reach, greater connection with community, and the ability to better reach millennials and centennials, influencer marketing offers a better way to connect with those that matter most to marketers. How are you using influencers to form greater connections?